First day in the Philippines | Walk with us! It is now late afternoon as I am completing my first day in the Philippines. Today is a recovery day from my travels and tomorrow I’ll fly down to Mindanao to begin my time as English teacher. Actually, if I am correct, it would be better to say Assistant English Teacher. As I understand my job it will be to work on pronunciation with the students, but time will tell as to what my real duties will be. I did come prepared with several texts thanks to Kelly Kornacki who heads the ESL program (English as a Second Language) at Sacred Heart School of Theology. These will form the basis of my work. 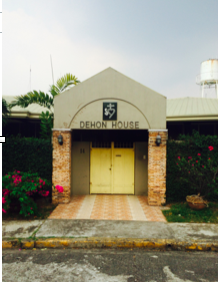 I am staying at our scholasticate, Dehon House, where our SCJs live while studying theology here in Manila. If I counted correctly there were 20 students living here during the school year that ended in March. The students are a mixture of Filipinos and Vietnamese. At least up until now all our Vietnamese SCJs have done both their novitiate and theological studies here in the Philippines. As you may know the Philippines is the only Catholic country in Asia, thanks to its long colonial period under the Spanish. That in many ways makes Manila the center of Catholic studies in Asia and it is sometimes called the Vatican of the East as it has excellent theological schools and universities. It is also a good place for sabbatical studies and refresher courses. On the drive from the airport last evening I was told the education system (at least at the university level) is in the process of revamping its scholastic year. Two years from now it will go on a semester system similar to what we have in the States, i.e., a fall semester beginning in late August and a spring semester ending in May. Right now they begin the school year in June and end in March. While I am not aware of all the reasons for the change it will make it easier to attract visiting professors from places like the US and Canada as it will not require interrupting their home schedules. Right now the house is quiet as most of the students are gone. I was lucky enough to be here just before our SCJ group leaves for a new mission in Asia. Many of them participated in the ESL program at Sacred Heart School of Theology since English will be their common language. Perhaps it is fitting they are using the Philippines as their jumping off point. Next month will mark the 25th anniversary of our presence in the Philippines. It marked a new way for our SCJs to operate in foreign missions. Prior to that a province would mark out a mission territory and staff and fund it. For example, the US Province had the De Aar Region in South Africa as a mission from after World War II until De Aar and Aliwal North (under the German Province) were joined to form the South African Province. 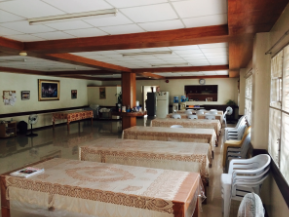 After the Indonesian Province requested that the congregation expand in Asia a study was done by the general administration and it settled on opening a mission in the Philippines. However, instead of asking a province to take up this responsibility; under the leadership of the general administration volunteers were sought from around the congregation, and they were then sent to Hales Corners to learn English as it would be both their common language, and one needed in the Philippines for higher studies. I always remember what Bishop Virginio Bressanelli, SCJ, said about this method (he as general superior). He liked it because instead of Italy or Germany or the US SCJs going to a mission country and in it forming little Italian, German or American islands the fact that the team was international made that less of a possibility. In any case, it has worked well for us as our Philippine Region has steadily grown and has taken on a local flavor as more and more Filipinos are finally professed and ordained. Our presence here has also allowed us to begin our Vietnam project, which though much younger then our 25 years in the Philippines has also shown much promise. I plan on visiting Vietnam in early June when my teaching stint is finished. Let me close with a few words about this house. 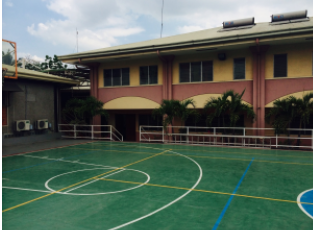 When we began 25 years ago all the SCJs were in Mindanao though it was known sooner or later a presence in Manila would be necessary; first and foremost as the center for theological studies and as the national capital everything tends to flow in and out of the city. After the first five years the community began to accept candidates and the hunt for a place in Manila began in earnest. 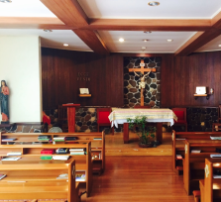 This property was purchased from another religious community that needed more room. We have expanded it by adding a second building. I asked at the noon meal how many could it hold and was told about 50. Certainly that is more then sufficient for current and projected needs. Just like Eluru in India or our own Chicago House of Studies the students live here but go to school at local universities/schools of theology. From a past visit I believe they go to at least two theological schools, but that’s something I’ll have to confirm when I have the chance. I’ll close today with several pictures I took this morning that might give you a little better idea of life here at Dehon House.